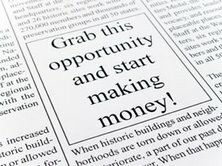 Market and promote your business to increase exposure, consumer awareness and sales to new customers with display advertising in local newspapers in the North Virginia market area. Get a 2" by approximately 4" display advertising in 23 newspapers and reach an audience of 418,007 potential customers. Average rate of $395.65 per newspaper for a total cost of $9,100.00 for one display ad in 23 newspapers, which is payable $7,280.00 in reward dollars or trade dollars and $1,820.00 in cash to cover advertising agency commissions and placement costs.